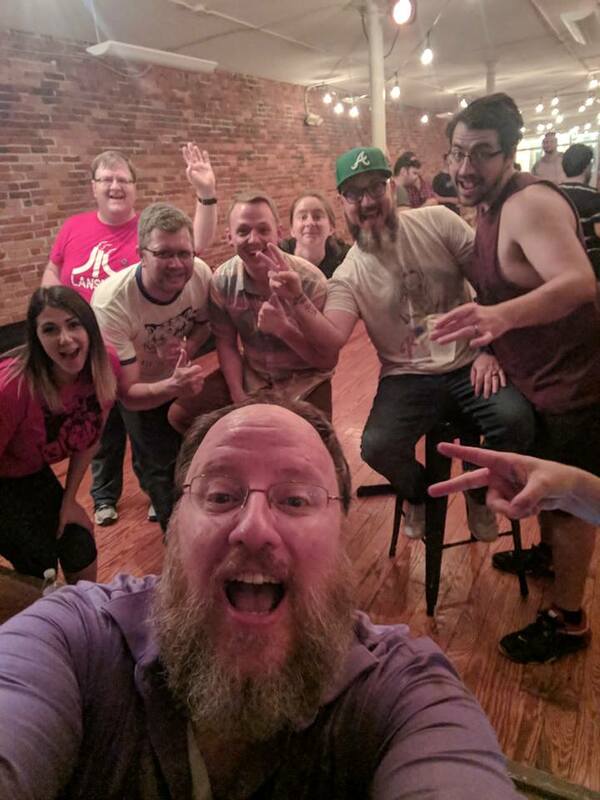 I had a great time back in May as a part of the Whiskey Bear Comedy Festival in Columbus, Ohio. As a comedian, one of the great things about a comedy festival is the chance to catch up with old friends in comedy from around the country and to make new friends as well. It's like a family reunion, but somehow weirder and more fun. One of the fun things I had the chance to do this year was appear on "Whiskey Deep with Tom Plute," a podcast hosted by Columbus comedian Tom Plute. 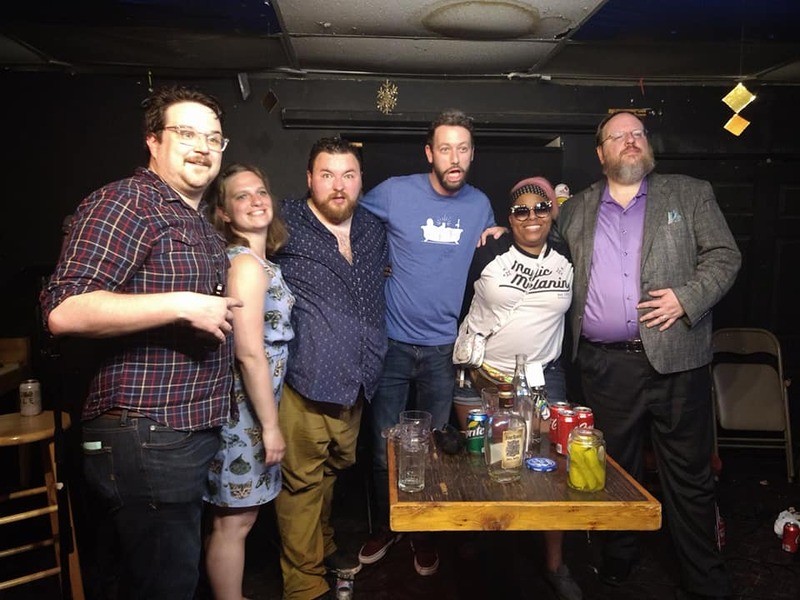 In the podcast, he assembles a panel of artists, performers, and community celebrities to chat over an entire bottle of whiskey and then somehow answer trivia questions. Each year at Whiskey Bear, it's a comedy free-for-all with a panel of visiting comedians. And this year was my turn in the whiskey barrel. To make things more interesting we shared two bottles of whiskey as the show progressed (and simultaneously devolved). Feel free to listen in to a conversation with five comedians from around the country getting more and more intoxicated in front of a live audience and then having to somehow answer movie and television trivia questions. It was weird and fun. And, somehow, I survived the whole thing. You can find the podcast on Squeezecast at http://squeezecast.com/2018/06/wd-episode-16-angels-envy-andrew-rudick-bianca-moore-derek-minto-liz-greenwood-shane-rhyne/. And, for fun, here's a photo of us after the show and one of me barely holding things together at the comedians' after party that night. And, look, Trae Crowder - a fellow Knoxville comedian who has done quite well for himself lately - even dropped in to say "Hi." Thanks to Tom Plute for having me as a guest on his masochistic podcast and to the entire Whiskey Bear Comedy Festival team for inviting me to be a part of a great week of comedy.